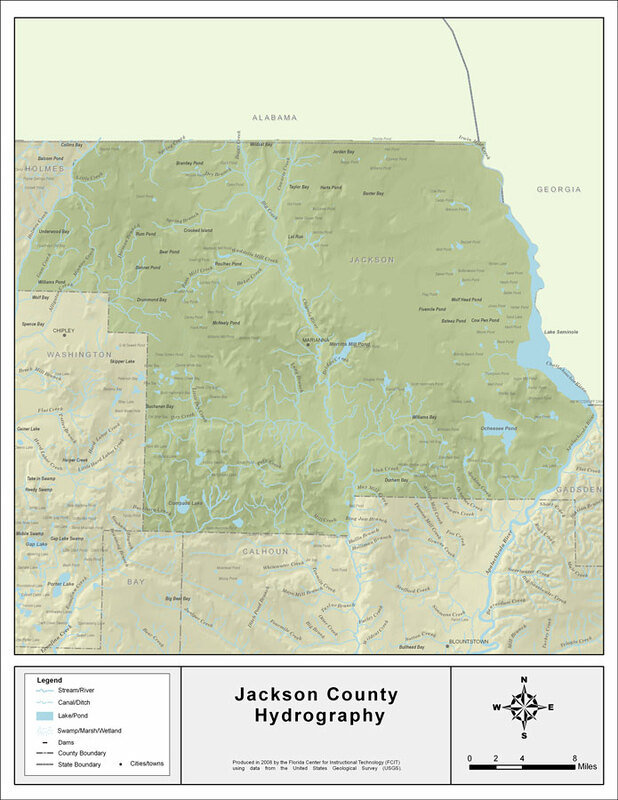 Description: This map was created by FCIT and shows the waterways of Jackson County. All major rivers, streams, creeks, lakes, and swamps are labeled. This map features Little Creek, Holmes Creek, Gum Creek, Minnow Creek, Dorman Branch, Spring Creek, Moulten Slough, Spring Branch, Dry Branch, Freeman Branch, Big Creek, Cowarts Creek, Hays Spring Run,Waddells Mill Creek, Russ Mill Creek, Baker Creek, Chipola River, Merritts Mill Pond, Bridge Creek, Long Branch, Dry Creek, Ocheesee Pond, Lake Seminole, Little Rocky Creek, Shores Mill Creek, Sewell Branch, Compass Lake, Econfina Creek, Foxworth Mill Creek, Ditch Branch, Pelt Creek, Sink Creek, May Mill Creek, Mill Creek, Wilson Mill Creek, Ocheesee Creek, Jenkins Creek, and the Apalachicola River.